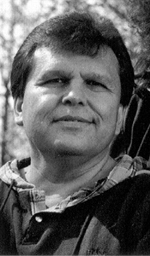 Ernie Crey and journalist Suzanne Fournier examined the devastating impact of large scale efforts to assimilate Indians into mainstream Canadian society in Stolen from our Embrace: The Abduction of First Nations Children and the Rebuilding of Aboriginal Communities (D&M 1997 $29.95) for which they received the Hubert Evans Non-Fiction Prize 1998. Crey was the executive director of the fisheries program for the Sto:lo Nation and a former president of the United Native Nations. He had also worked as a social worker on behalf of aboriginal families. "As a child, I was forcibly removed from Sto:lo culture by social welfare authorities," he recalled. "Our family life was shattered after my eight siblings and I were split apart into separate foster homes. We were never again to reunite as a family. In so many ways, the history of my family is the history of aboriginal children in Canada."